The National Congress of Black Women, Inc. Los Angeles Chapter is pleased to offer a Vendor Market Place during our Annual Fundraising Event. 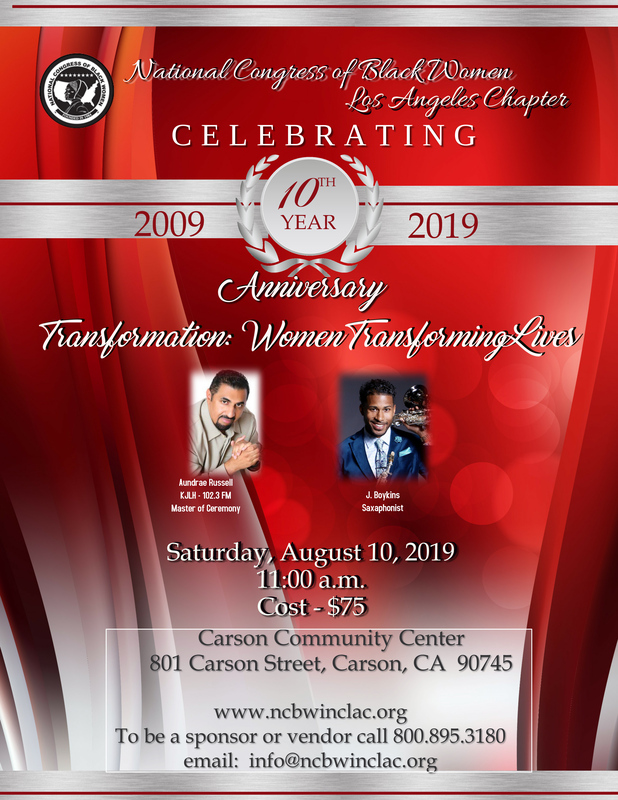 This Gala will be held on Saturday, August 18, 2018 at the Congresswoman Juanita Millender-McDonald Community Center, 801 E. Carson Street, Hall B, Carson, CA 90745. We are anticipating over 200 attendees at this early afternoon awards luncheon. Please take this opportunity to place an advertisement in our Souvenir Program. Full payment and camera ready advertisement must be received by August 1, 2018.